Pope Francis has authorized the promulgation of 12 decrees on the causes of saints, among which is the martyrdom of German Pallotine priest Father Richard Henkes. Indian Syro-Malabar priest Fr. Augustine John Ukken is among 11 others whose heroic virtues have been recognized. 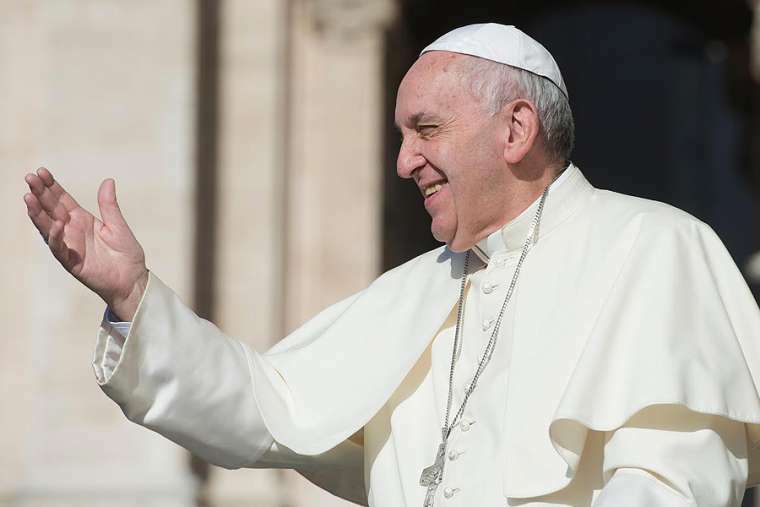 Pope Francis Friday evening received in audience Cardinal Angelo Becciu, the Prefect of the Vatican Congregation for the Causes of Saints, and authorized the promulgation of 12 decrees regarding 9 men and 3 women, taking them a step closer to sainthood. They concern the martyrdom of a German priest and the heroic virtues of 11 men and women, among whom is an Indian priest. The case of martyrdom is that of Father Richard Henkes of the Society of the Catholic Apostolate better known as the Pallottines. He was born in Ruppach (Germany) on 26 May 1900 and killed “in hatred of the faith” in the Nazi concentration camp of Dachau (Germany) on 22 February 1945. A vocal critic of the Nazis regime, he was arrested on 8 April 1943 and was moved to the Dachau concentration camp 3 months later. As a volunteer caring for sick patients in the camp, he himself succumbed to an acute disease and died 8 weeks later in the camp. This decree clears Fr. Henkes for Beatification, which is a step away from Canonization or sainthood. Among the decrees on heroic virtues is Servant of God, Father Augustine John Ukken from the southern Indian state of Kerala. The priest of the Syro-Malabar eastern rite Catholic Church who founded the Congregation of the Sisters of Charity (CSC), was born in Parappur (India) on December 19, 1880, and died in Chowannur (India) on October 13, 1956. - Auxiliary Bishop Jan Pietraszko of Krakow. He was born in Buczkowice (Poland) on 7 August 1911 and died in Krakow (Poland) on 2 March 1988. - Giuseppe Codicè, a diocesan priest who founded the Pious Union of the Sisters of the Visitation of the Immaculate Virgin. He was born in Budrio (Italy) on March 3, 1838, and died in Vedrana (Italy) on January 21, 1915. - Doroteo Hernández Vera, a diocesan priest who founded the Secular Institute Cruzada Evangelica; born in Matute de Almázan (Spain) on March 28, 1901, and died in Madrid (Spain) on November 6, 1991. - Melchior Fordon (born: Joseph), a priest of the Order of Friars Minor Conventual. He was born in Grodno (now Belarus) on August 5, 1862, and died there on February 27, 1927. - Girolamo Maria Biasi (born: Archangel), a priest of the Order of Friars Minor Conventual. He was born in Sfruz (now Italy) on December 7, 1897, and died in Camposampiero (Italy) on June 20, 1929. - Miguel Zavala López, a priest of the Order of Saint Augustine. He was born in Rancho Nuevo de Santa Clara (Mexico) on November 12, 1867, and died in Yuriria (Mexico) on April 4, 1947. - Mother Antonietta Giugliano, founder of the Little Servants of Christ the King. She was born in New York (USA) on July 11, 1909, and died in Portici (Italy) on June 8, 1960. - Sister Leonarda di Gesù Crocifisso (born Angela Maria Boidi) of the Congregation of the Sisters of the Passion of Jesus Christ. She was born in Quargnento (Italy) on July 10, 1908, and died in Alexandria (Italy) on October 22, 1953. - Sister Ambrogina di San Carlo (born: Filomena D'Urso), professed Sister of the Congregation of the Patronage of Saint Joseph born in Maranola (Italy) on January 1, 1909, and died in Florence (Italy) on March 26, 1954. - Carlo Tancredi Falletti Di Barolo, a layman and co-founder of the Congregation of the Sisters of Saint Anne. He was born in Turin (Italy) on 22 October 1782 and died in Chiari (Italy) on 4 September 1838. These Servants of God will now have the title Venerable Servant of God, or simply Venerable. A miracle each through their intercession will now be required for them to be cleared for Beatification.